Our vision is to promote creativity as the key to unlocking the real world potential of a building. Without creative thinking, our solutions are limited to those already in existence. Today, challenges require smart thinking and clever solutions that are both simple, efficient and sustainable. We believe that the future belongs to those that are the most creative. Using materials in different ways, taking a different approach to a design or utilizing means and methods outside the norm are examples of how we can realize our vision. Unusual and unique construction problems require unusual and unique solutions. For us, creativity paves the way for innovation. CARE about our Customer + BE creative + COMMUNICATE freely + BE Responsive + PURSUE simplicity + BE a part of the team. These core values represent the actions we perform to meet our Customers’ needs. We pride ourselves in bringing open communication, thoughtful investigation, accuracy and sustainability to each of our projects. Each of these builds upon the other and together they combine to form the foundations of a successful working environment. We see the formation of the team as an integral step in the process of design and construction. Our desire to stimulate and encourage communication and cooperation fosters an open and honest dialog that gets things done. Problems are there to be solved and good communication is the foundation of problem assessment and resolution. Our primary responsibility is to listen and we do so actively. We are highly focused on developing and maintaining an open dialog. The more we listen, the more we learn about our Clients and the more we are able to help them. As an integral member of the team, we engage actively and openly with all key participants. We are open to different team structures and are flexible in our approach. We recognize that the whole is greater than the sum of the parts and we are all working toward a common goal. We constantly challenge ourselves to rethink how tasks are executed, we reposition ourselves to obtain a different viewpoint and we actively pursue fresh insights and perspectives. 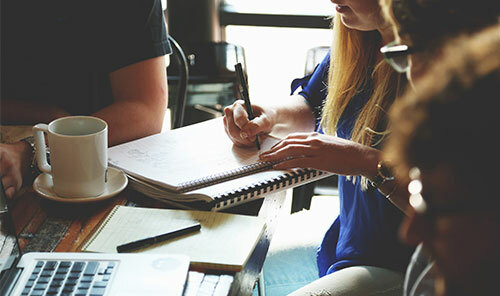 The nature of our work often demands solutions outside the comfort zone of the “tried and true” and our process of review and investigation ensures we consider the greatest number of options possible. Even after we have formulated a plan, we keep thinking. 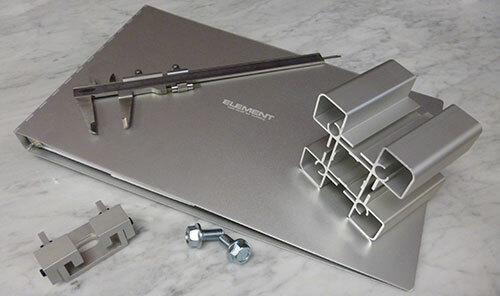 The first solution isn’t necessarily the best and at ELEMENT, we recognize the need to alter and adjust when necessary. Being able to think quickly, assess critically and explore openly are all key attributes we bring to the table. On most projects, design development is an evolutionary process involving many participants. ELEMENT recognizes the design may change once or many times. Thus we are flexible and adaptable. ELEMENT has an established record of thinking outside the box, unhindered by the limitations of doing the same thing over and over. Unlike regular suppliers to the Construction industry, we are not hampered by the constraints imposed by our own fabrication capabilities. We will not change our Customers design to suit our equipment, rather we source equipment best suited to our Clients’ needs in order to achieve maximum productivity at the best price while retaining the original design intent. 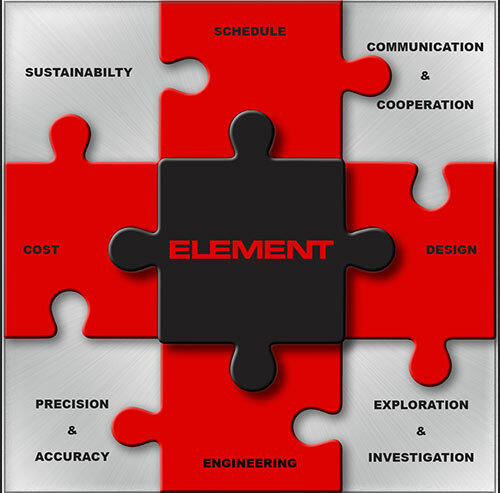 This is a critical and significant difference between ELEMENT and traditional suppliers. When necessary we have travelled the world to source the resources required to achieve the Designers’ intent. We are diligent in all aspects of our work. Precision and accuracy are hallmarks of our service and the materials we provide. The management of our work from design through fabrication is undertaken with a “right first time” mindset. Many of our projects involve materials that are critical to the aesthetic or functional aspects of a building and these are often delivered and installed toward the end of the project schedule; there simply isn’t time to do it again! We don’t accept failure and we do not accept anything other than the best. Cutting edge architectural projects demand cutting edge precision and accuracy. From document handling through material finishes to delivery, we do it right the first time. 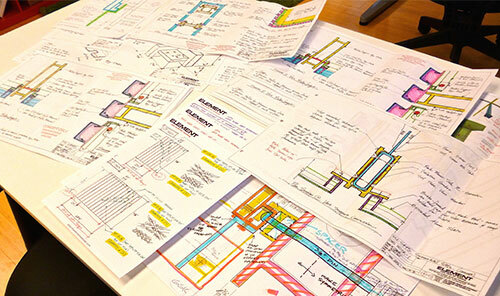 All our drawings, calculations, budgets, mockups, spreadsheets, schedules and documentation are precise and accurate. During fabrication we continuously perform quality control inspections to ensure materials and manufactured products meet our extremely high quality standards. We subscribe to the philosophy that precision and accuracy in our work is ultimately best for our Clients and the project as a whole.